Lauren LaMonica is a senior in Jonathan Edwards College from Boston, Massachusetts. Lauren is majoring in Molecular, Cellular, and Developmental Biology and Global Health Studies, and is a student in the 5-year BS/MPH program at the Yale School of Public Health in Chronic Disease Epidemiology. She is particularly interested in health equity and access to treatment for marginalized and low-income populations, and has been working on low-cost ocular therapies for diabetic patients and premature infants that can be utilized both in the U.S. and in more rural global populations. 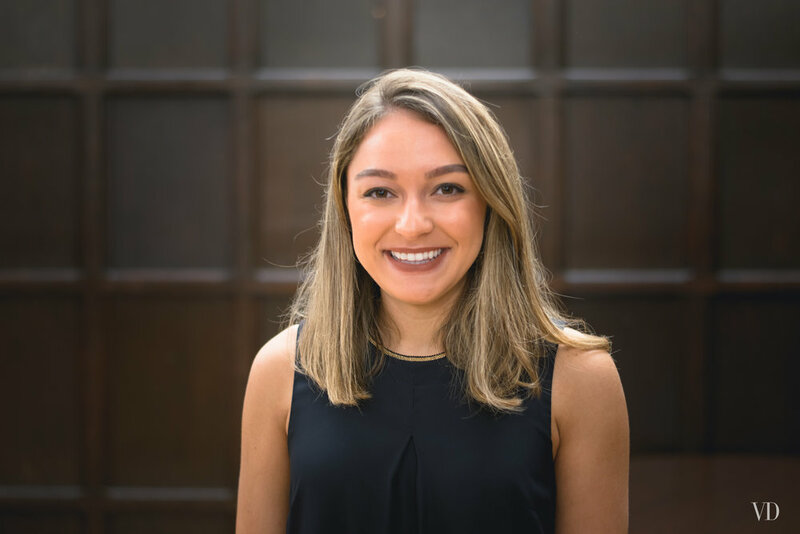 At Yale, Lauren is Advocacy and Outreach Chair for the Yale Hunger and Homelessness Project (YHHAP), working to more effectively understand legislation and policies regarding the New Haven homeless and transient communities. Lauren is also the founder of HomeBridge, an organization that facilitates connecting individuals and social workers with food, shelter, and medical care resources. As co-president of A Leg Even, Lauren has been working to expand access to academic and tutoring resources for first-year students, as well as build a community to leverage discussions about the importance of support for first-generation students on campus. Austin Strayhorn is a Junior at Yale University (GH ’19) from Suitland, MD, a community in the Washington D.C. Metropolitan area. He studies Ethics, Politics, and Economics with a concentration in sustainability, and dreams of promoting sustainable practices in business. Austin advises Black first-year students at Yale as a Peer Liaison and is a former community tutor for the Urban Improvement Corps, a group that provides community tutoring and mentoring services to New Haven schoolchildren. Austin also works as an aide in his residential college. In the spring of 2018, Austin will be traveling to South Africa to study ecology and conservation to focus on combatting destructive human practices on earth's ecosystems and to ultimately ensure a livable planet for future generations. As an African-American male from a low-income background, Austin feels compelled to serve the low-income community at Yale and believes his experiences and advice could benefit students facing similar challenges. Raised in Norfolk, Virginia, Pablo Vazquez is a Sophomore at Yale (PC ‘20) majoring in Global Affairs with a focus on International Security. He is a Pierson Aide, a Yale Student Ambassador, and has participated in both Yale’s Equestrian and Pistol team. Prior to attending Yale, Pablo played a large role in Norfolk Academy’s Center for Global and Civic Leadership ( CCGL) as part of the institution’s inaugural cohort of International Relations Fellows. Norfolk Academy established the CCGL to prepare students to become principled civic leaders. The program provided dedicated students opportunities to pursue a multidisciplinary and experiential course of study grounded in developing actionable solutions to real-world issues. Adrian Rivera is a Sophomore in Jonathan Edwards College. He hopes to double major in History and Political Science, and is interested in 20th century American History and Government. On campus, he writes for the Yale Daily News as a Staff Columnist, is a member of the Advising Fellow Leadership Team for Matriculate, a national non-profit that provides free college counseling to high-achieving, first-generation low-income students, and serves as an Associate Editor for the Yale Historical Review, among other things. He is originally from Mission, Texas. Last summer, Adrian was an Instructor at the Yale Young Global Scholars program, where he led three seminars on national security post 9/11, theories of genocide, and globalization throughout world history. He hopes to combine his passions for teaching, government, and history into a career in legal education and practice, and maybe even one day, public office. Jordan Young is a first-year in Grace Hopper College from a small rural town known as Timmonsville, South Carolina. Jordan is planning to major in Molecular, Cellular, and Developmental Biology with a focus on neurobiology. Jordan also plans to double major in Ethnicity, Race and Migration with a focus on global health and policy. He plans to work towards improving the accessibility to health care for low-income communities specifically in Latin American countries. In the future, he would also love to work as a doctor on refugee camps in the Middle East. As a Leadership Enterprise for a Diverse America (LEDA) scholar, Jordan learned core values of excellence, integrity, compassion, and community that he will carry with him through his career. He also attributes this program as the gateway that allowed him to be the first in his high school to ever get accepted to Yale University. At Yale, Jordan also participates in Intramural sports where he serves as a first-year captain for IM soccer. Jordan seeks to foster a sense of community for low-income and/or first generation students at Yale. He believes that there needs to be a larger recognition for low-income, first generation students at Yale, so that they can receive the support that they need in order to succeed. Born in Colombia and raised in Florida, Camilo Tamayo, who goes by Milo, is a first-year student at Yale University considering double majoring in Economics and History. Milo is a Leadership Enterprise for a Diverse America Scholar and accredits this organization for allowing him to be the first person from his high school to ever attend an Ivy League University. He hopes to continue work towards empowering low-income and first-generation students through his involvement as a First-year Liaison for A Leg Even and work as an Advising Fellow for Matriculate. He is also a Junior Consultant for Elmseed, a non-profit consulting group, and a Member of the Yale Leadership Institute. As one of the two first-year liaisons of A Leg Even, Milo wants to solidify the first-generation/ low-income community at Yale, making sure that everyone feels included and accepted. Furthermore, Milo wants to solidify professional skill development for his peers, through workshops on networking, resume writing, financial literacy, and internship opportunities. Tim Ryan is a sophomore at Yale University (HC '20) hailing from the scenic mountains of Upstate New York. He is a prospective Global Affairs major with a concentration in security and governance. On campus he serves as Studio Manager of the Hopper Recording Studio and leverages his passion for musical composition and analysis in both personal and professional studies. His other activities include tutoring non-native English-speakers in the New Haven community through Bridges ESL, chairing the Legal Committee of Yale Model United Nations, and serving off-campus as a Shift Manager at the local Ben & Jerry's. As someone who struggled to navigate the college admissions and integration processes independently, Ryan feels compelled to help his fellow first-generation low-income students in their collegiate pursuits through coordinated financial and academic support.